Bonus hopping from broker to broker can be very lucrative, but there are a few tips to consider to increase your chances of success with a forex bonus. For instance, it makes a difference whether you start with a trading capital of $200 or one of $2,000 (or perhaps you don't even have any trading capital yet and still want to start trading forex). Follow these bonus tips and you'll do better. A forex bonus is almost always immediately available for you to trade with. Most brokers offer a forex bonus as a percentage of your first deposit, for instance '25% up to $1,000'. So if you deposit $400 you would get $400 + $100 (25% of $400) = $500 in your account. But since most brokers only offer one forex bonus, namely a first deposit bonus, it pays to deposit as much as possible when you deposit. So if you're only just starting out, it would be smart to get the forex no deposit bonuses first, and then move on to bigger things. Even though you can -in general- immediately use a forex bonus for trading, that doesn't mean there are no strings attached to the bonus. No forex bonus can be withdrawn immediately (at least we've never heard of one) you always have to clear the bonus first before you can withdraw it. More importantly, some brokers state in their T & C that any withdrawal before clearing the bonus cancels the bonus. Others have a rule that a bonus will be cancelled when the total funds in your account are below the original amount of the bonus given. Read the forex bonus reviews at ForexBonusFree for the bonus details (we discuss them for each broker we review) so you don't accidentally waste your bonus for nothing. Generally, you'll have to trade a certain amount of lots / mini lots for each $10 / $1 in bonus. You have to know clearing requirements, so you can keep track of how much lots you still have to trade to get the bonus. We list the clearing requirements for each bonus in the bonus reviews. One of the most common errors committed by bonus hoppers is focussing on the bonus and forgetting to trade profitably. You should never view the bonus money as your only goal. 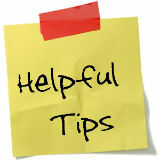 Instead you should see it as an extra source of income, on top of your trading profits. Or, if you're still a beginning trader, something that can pay for your losses. If you only look at the bonus and open positions just to meet your clearing requirement you won't do yourself a favor. Remember you don't have to trade badly to clear a bonus. Even though you should not focus on the bonus alone (see tip 4) that doesn't mean you shouldn't look into ways to trade that are both profitable and lightning fast in clearing a bonus. Obviously it's easier to clear a bonus with a trading strategy that is founded on opening and closing lots of positions within a small period of time than with a carry trade strategy that requires you to hold on to a position for 6 months. Now, if you happen to be a carry trade specialist and that's what you're good at, by all means stay with it. But if you're not that set on any particular strategy, it pays to know that an intra day strategy that can only just beat the spread can be turned highly profitable when turning to bonus hopping. If you can never clear the bonus, you really don't have much use for it. The goal is to trade with the bonus, clear the bonus, cash out the bonus and move on. 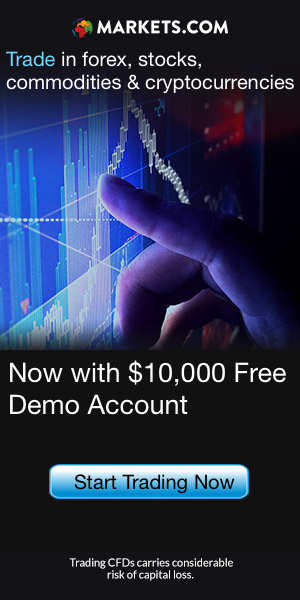 If you've deposited $10,000, got $2,000 in bonus and then start trading with micro lot positions where 1 pip = 10 cents, you'll have to trade a very long time to clear the bonus. You should look at your normal lot size and try to get a bonus that can be relatively easy to clear given that lot size. As a bonus clearing rule of thumb, the broker will want you to trade 1 mini lot (1/10 of a Standard Lot) for every $1 in bonus. So if you know of yourself that you trade about 10 mini lots per day, you can clear about $10 in bonus per day. If you'd get a bonus of $2,000, it means you'd be trading 200 days before clearing it. In some cases that can be ok, just make an estimate about how long it will take you to clear the bonus you're about to get. 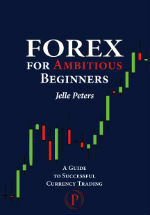 "Simply a Must Read for Every Serious Forex Beginner"
Copyright Forexbonusfree.com 2010-2019 All Rights Reserved.